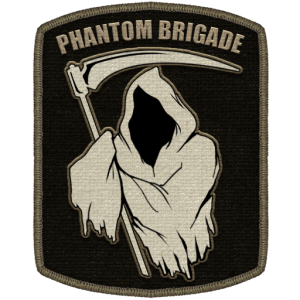 The Phantom Brigade is the faction that puts the “Deception” in RiF’s tagline: “Ambush. Deception. 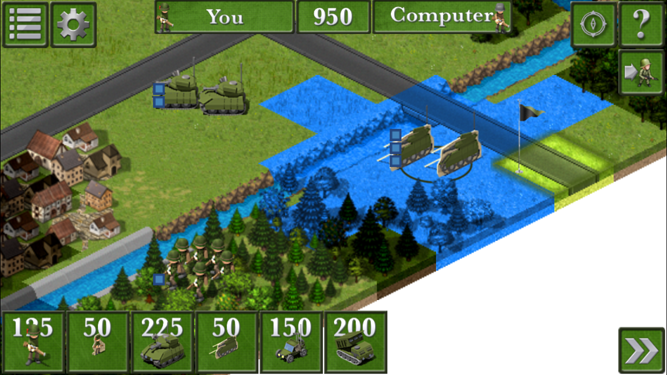 Tactics.” The commander’s claim to fame are its two decoy units, harmless soldiers or tanks meant to distract your enemy. Disguised as a Grunt and a Medium Tank, these two decoy units are less than half the price of their genuine counterparts but appear like the real thing to your enemy. A swarm of decoy units can surprise and overwhelm the enemy, leading them on a strategic goose chase away from your main attack. Better yet, a healthy mix of real units embedded into a pack of decoys can create some hilarious confusion and disrupt your opponent’s plans. The Phantom Brigade’s unit loadout is quite similar to the 17th Guards for a good reason: it keeps your opponent guessing which commander you’ve chosen right up to the moment your first decoy unit is unveiled. Designing the Phantom Brigade to appear identical to another commander further compliments its deceptive nature and gives players more strategic options. The Phantom Brigade was the last commander to make the roster but still arrived in time to undergo plenty of tweaking during Beta. The commander is inspired by the real “Ghost Army” of the Second World War: a dedicated team of 1,100 crafty soldiers that used every possible trick to appear many times their size and intimate/deceive the enemy. The artist, Nick Carlton, did a fantastic job taking the original unit design and proposing some variations that were made to look like “cardboard cutouts.” Originally the Phantom Brigade was meant to have Snipers and Stealth Tanks to compliment the “Phantom” part of the name. But towards the end of Beta it was decided that the most devilish approach would be to keep the commander almost identical to the 17th Guards to further throw off the enemy. The first thing to remember when playing as the Phantom Brigade is that your opponent must fall for a trap in order for you to win. Only select the Phantom Brigade on maps where the enemy will be able to see your forces approaching and react. One great map for the Phantom Brigade is “Operation Windbreak” which offers two major avenues of assault. As the player you can launch a completely fake assault down the left side for example, while maintaining the primary attack on the right side. Your opponent will need to split his forces to counter, allowing you to engage their army as two smaller parts of a whole. I’ll open with two scouts and a mix of real and decoy units. When positioning decoy units it’s important to treat them as real units. Hide the decoy infantry in cities and forests, but make sure your opponent is watching as you do this. Charging your decoy infantry directly at the enemy is a sure giveaway that they are decoys. Shooting with your real units is also a dead giveaway that they are genuine! Mix up the placement when moving your units, putting decoys in the front of some attacks and in the back of others. The decoy units can be used to soak up the enemy action points and preserve the real units. There’s something sinisterly satisfying about sneaking some real units through to your enemy’s base when playing as the Phantom Brigade. Sometimes my units won’t need to fire a single shot until they’ve slipped through the lines and are staring at the enemy base. The hardest part about playing against the Phantom Brigade is telling which enemies are real and which are fake. A savvy player will be able to spot the difference based on how their other player chooses to move their troops. Other players will need to fire one test shot at each enemy soldier to unveil the decoys. When watching your opponent play as the Phantom Brigade, keep a close eye on their action points. Decoy Tanks move like Grunts. That is, a Decoy Tank can only move two spaces along a road while a real tank can move four. 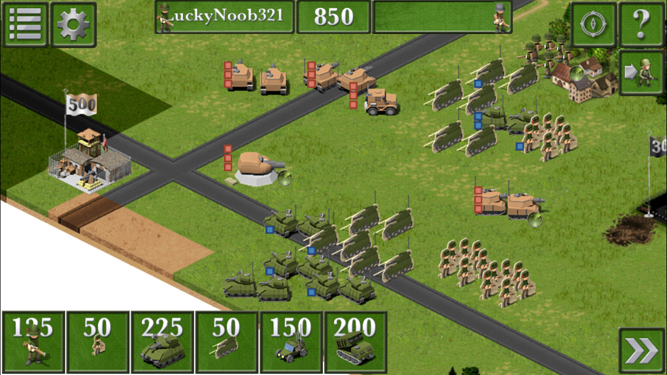 A smart Phantom Brigade player will slow down their real tanks to match the speed of the decoys. But a poor Phantom Brigade player will rush their genuine tanks ahead giving away their identity. And, of course, if you see a tank crossing a river or moving through a forest then it must be a decoy. If all else fails, resort to groups of cheap or fast-shooting units to mow through enemy swarms of decoys and determine which units are real. A great combination is the Armored Scout and Heavy Tank. With four action points each turn, an Armored Scout can attack four enemies and quickly reveal which are decoys. The remaining enemy soldiers are easy targets for the Heavy Tank. When playing as the Resistance, the Technical is another great unit to filter through the fake targets. Once you’ve identified the real enemies you can focus your firepower where it counts. This is just a brief insight into the possible strategies and counter strategies of the Phantom Brigade. I hope you get a chance to grab the Phantom Brigade while it is on sale this week and can use some of the tips in this guide to jump-start your strategy. How do you play the Phantom Brigade? Share your deceptive strategies in the forums. Garren- there is a bug you need to fix. When playing against the Phantom Brigade, you can tap on their units to check movement range. Decoy Tanks only show a movement range of two squares, which is a dead giveaway. Good observation! 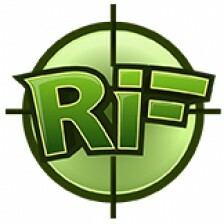 Version 1.2.1 will be submitted to Apple for review shortly to address. Hopefully the update will be released within a few days!